Looking for expert advice on how to answer and prepare for competency-based interview questions? Get structured answers for specific positions, and see how JobTestPrep can help you ace your next competency test interview. 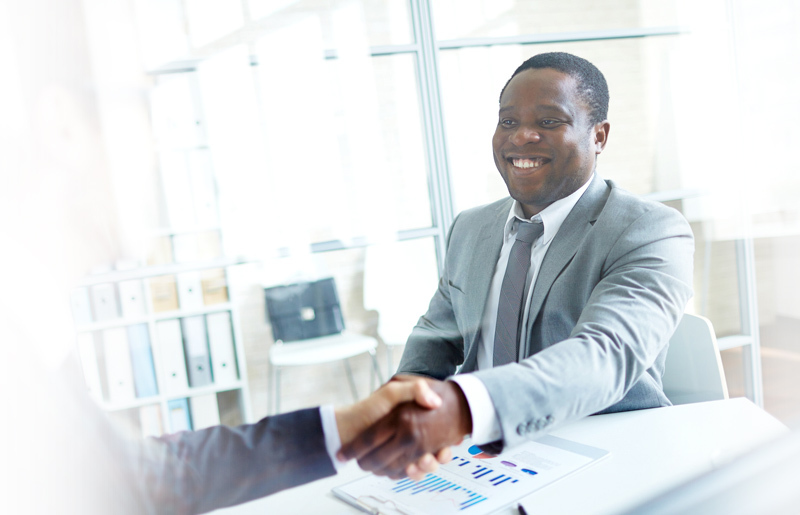 Competency-based interviews rely on the assumption that past successful or unsuccessful job scenarios provide evidence of compatibility with a position's requisites. You are required to answer questions that call upon your work experience to explain the outcome of your past decisions. Interviewers use these answers to gain a better understanding of your personality, your thought process, and how you may act in the future. Competencies are a wide range of behavioural, cognitive, and knowledge-based skills which characterise people in their working environments. They are then compared with specific, employer-dependent standards to see if the candidate is a suitable fit for their company. Most employers, especially those who employ many workers, are interested in competency testing that evaluates applicants prior to their qualification. This is done to ensure applicants not only fulfil the specific skills required for the job but that they can also cope with the company's vision and with future promotions and position replacements. Behavioural competencies include a person's values, morals, desires, and motivations, or, alternatively, they may span around social skills, such as communication, leadership, teamwork, and coping with stress. Cognitive competencies are usually measured by one's learning skills, aptitudes, and abilities. The best way to prepare for competency questions is to reflect on your experience. Interviewers are looking to get as much information out of you as possible, so make sure your responses provide all the necessary information for the interviewer to understand the scope of your answer. As well as this, it’s important to have competency-based question examples ready with your answers to ensure you're prepared for the real thing. Often, interviewers will focus on instances of past failures or successes. Admitting your failures will not reflect negatively on your interview if you relate how you remedied the situation, what you learned, and how you plan to avoid making the same mistake again. Here are several examples of recommended questions and answers for competency interview questions. Some questions can be asked for almost any position, whilst some questions are specific to certain jobs. Give an example of your sales skills. Give an example of a project in which you were involved that required your teamwork skills. How would you assess your ability to bring about change? Give an example of a significant decision you made in your last position. Give an example of a change you initiated in your organization. Describe a success of yours as a manager. Give an example of a conflict you had with a customer and how you responded. Give an example of a conflict you had with your superior and how you responded. How would you resolve a state of competition with a team colleague? Describe a failure of yours as a manager. Interviewer asks: "How do you assess your sales ability as compared with other salespeople?" Candidate answers: "I'm considered a leading salesperson in our company. I received a bonus several times as the leading salesperson in the company." Comment: This response adequately answers the question asked. Question: "Give an example of your sales ability." Answer: A candidate who responds with a lack of confidence, and answers: "I have a hard time recalling a specific instance," will leave a bad impression. A candidate who responds with confidence will answer: "Last month I closed a big deal with a leading computer firm. The deal significantly decreased the company's turnover for the last quarter." In a competency-based interview the candidate must prove competency by giving specific examples. Examples of team member positions are programming, customer service, project engineers, a team of accountants in an accounting firm, and the like. Questions for a team member position will usually test for ability to conform to a team, to form good relations, to accept authority, and to work under pressure. Question: "How would you describe yourself as a team member?" "What do you enjoy better, working as a team or working alone?" Answer: "I'm a good team worker. I enjoy the company of people, I like working in a team, and am always willing to help and do my share." Question: "Give me an example of a contribution you made to your work team." Answer: "I recently worked with five programmers on a project for a large food company. I made a significant contribution to the success of the team in carrying out the project. At the end of the project I got a letter of commendation for my contribution to the success of the team." Question: "How do you deal with working under pressure?" Answer: "I work well under pressure. For example, recently the number of workers in our department was cut while the amount of work I was given nearly doubled. I was asked by the managers to work overtime, and I managed to work efficiently and in a professional manner during a busy and stressful time. I showed efficiency and professionalism in spite of the stress." Comment: Adding the example reinforced the competency that the candidate described. Question: "Give an example of a significant decision you made in your last job." Answer: "Recently, I had to make a decision involving promoting a worker to a managerial level. One of the candidates for the job was close to me, but despite the closeness, I decided to choose another person. This was an important decision that strengthened the department." Comment: Hesitation is not a trait that interviewers will appreciate. On the other hand, rash decisions give the impression of a candidate under pressure. It is wise to demonstrate a mature decision-making ability. Question: "How do people view you as a manager?" Answer: "I am looked up to as a manager who leads and is authoritative; people trust my judgement. I know how to listen to other views with open-mindedness, and I know how to decide when the need be. I make a significant contribution to achieving the goals of the organization." Comment: A good candidate believes in himself and is not overly-modest. Read more on Interview Questions for Managers. Listed below are some competency-based interview questions and sample answers for specific positions. We will start with some basic sample questions. Following are the competency-based interview questions and sample answers per position. Give an example of a weighty decision you made in your last position. Give an example of a change you initiated in your organisation. Candidate answers: "I'm considered a leading salesperson in our company. I received a bonus several times as the leading salesperson in the company". Question: "Give an example of your sales ability". Answer: A candidate who responds with a lack of confidence and answers, "I have a tough time recalling a specific instance", will leave a bad impression. A candidate who responds with confidence will answer, "Last month I closed a big deal with a leading computer firm. The deal significantly increased the company's turnover for the last quarter"'. During a competency-based interview, the candidate must prove competency by giving specific examples. Here you will find competency-based question and answer samples for team member positions, such as those in programming, customer service, project engineers, a team of accountants in an accounting firm, and the like. The competency-based interview question examples used for team member positions usually aim at assessing the ability to conform to a team, to form good relations, to accept authority, and to work under pressure. Question: "How would you describe yourself as a team member? What do you enjoy better, working as a team or working alone?" Answer: "I'm a good team worker. I enjoy the company of people. I like working in a team, and I am always willing to help and do my share". Question: "Give me an example of a contribution you made to your work team". Answer: "I recently worked with five programmers on a project for a large food company. I made a significant contribution to the success of the team in carrying out the project. At the end of the project, I got a letter of commendation for my contribution to the success of the team". Answer: "I work well under pressure. For example, recently, the number of workers in our department was cut, while the amount of work I was given nearly doubled. I was asked by the managers to work overtime, and I managed to work efficiently and in a professional manner during a busy and stressful time. I showed efficiency and professionalism despite the stress". Question: "Give an example of a significant decision you made in your last job". Answer: "Recently, I had to make a decision involving promoting a worker to a managerial level. One of the candidates for the job was close to me, but, despite the closeness, I decided to choose another person. This was a major decision that strengthened the department". Comment: Hesitation is not a trait that interviewers appreciate. On the other hand, rash decisions give the impression of a candidate under pressure. It is wise to demonstrate mature decision-making ability. Answer: "I am looked up to as a manager who leads and is authoritative; people trust my judgement. I know how to listen to other views with open-mindedness, and I know how to make decisions when need be. I make a significant contribution to achieving the goals of the organisation". Comment: A suitable candidate believes in himself and is not overly modest. The questions above assess competency in various positions as well as your attitude towards customers. You need to show competency in dealing with conflict, as well as demonstrate a positive attitude towards superiors, colleagues, and customers. In addition, you must demonstrate that you function calmly and purposefully even in stressful situations. Finally, you must demonstrate confidence in yourself and in your achievements on the job. Have your CV with you and some scratch paper on which you can write down your responses to questions about your experience. Start reviewing the list of competency-based questions to see if you have suitable answers for them. Write down the key points you wish to discuss. Try to say these key points aloud to see if you sound coherent and convincing. Our revolutionary service can help you prepare for your next job interview. JobTestPrep provides you with an online interview platform which lets you pre-record interview video answers. This platform features sets of competency-based questions and answers that you can record yourself. This allows you to assess your interview skills and answers before you submit or present them to future employers.